After Mary Kom and Gaurav Solanki won gold medals in their respective categories, Vikas Krishnan won the third gold of the day for India as he beat Cameroon’s Dieudonne Wilfried 5-0 in the final of the 75 kg category. This was India’s first CWG gold in the middleweight boxing category. India have been doing very well at this year’s Commonwealth Games in Gold Coast. The boxers have had a great Games and helped India with a rich medal haul. After a couple of gold medals early in the day, Vikas Krishnan finished the day for the Indian boxing contingent with a gold medal. It was the first gold medal at the Commonwealth Games for India in the middleweight boxing category. Vikas Krishnan was participating in the 75 kg category and was up against Dieudonne Wilfried of Cameroon in the final bout. After starting off slowly, the 26-year-old Indian increased the intensity as he fought brilliantly and won 5-0. 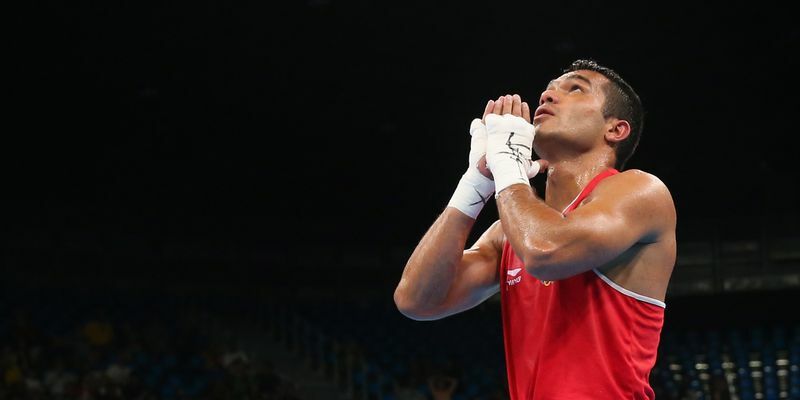 Vikas became the first-ever men's boxer to win a gold at both the Asian Games and the Commonwealth Games. It took India’s gold medal tally to 25 on the 10th day of the Commonwealth Games.